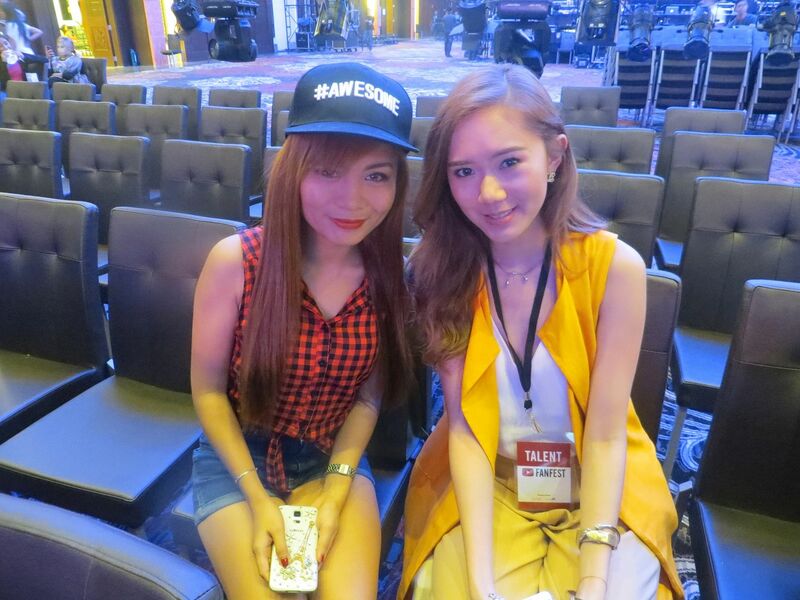 Real Asian Beauty: YouTube Fanfest Manila : Dinner with the YouTubers + Rehearsal with Ana and Camille! 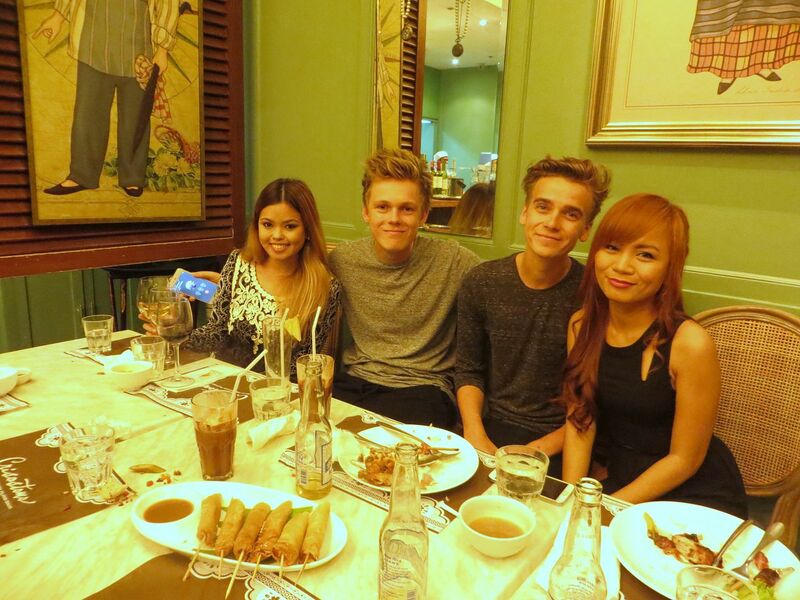 YouTube Fanfest Manila : Dinner with the YouTubers + Rehearsal with Ana and Camille! June is one of the best months for me this year! Can you guys imagine that I was actually a part of the YouTube Fanfest?! I still can't! Ever since I saw the selfie Ryan Higa, Bethany Mota and Xiaxue took together at the YTFF Singapore, I never stopped wanting and wishing to be able to attend it. I mean, it's the event where I could see all my favorite YouTubers! I just honestly wanted to go. Never, even in my wildest dreams, did I imagine I'd ever be able to be on it ON STAGE! That's just crazy and beyond unbelievable! I guess the reason why I have very few followers on my SNS is because I never put my self on a pedestal. I always like to be the "humbler" blogger and think of myself as just a regular person. (I'm saying this because I noticed that some top bloggers and YouTubers distant themselves from their fans and they have a certain aura that just radiates "I'm a star.") I never really want that.  I just like to blog and do YouTube videos because I love and enjoy doing it! I don't do it to get famous or anything. If blessings or opportunities come to me, I consider them as just rewards. But it's never the main goal. 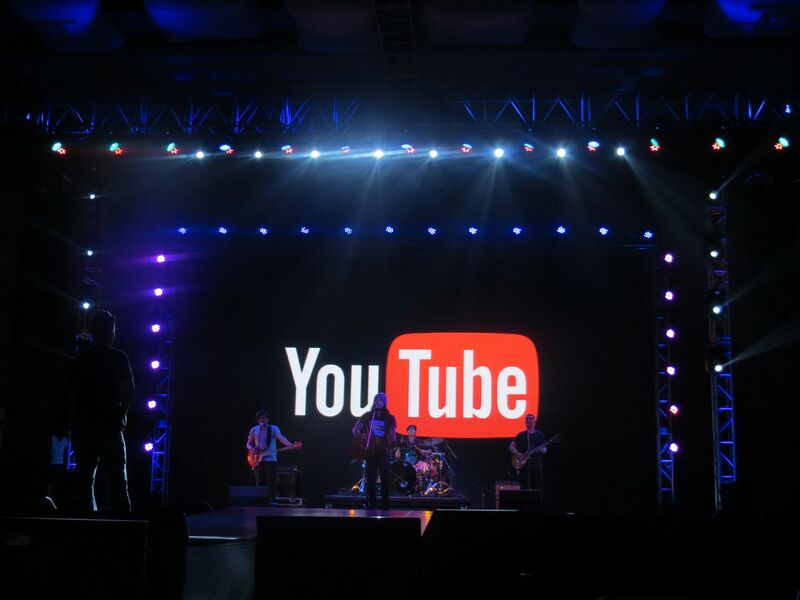 When I got the invite to be one of the artists for the YTFF, I got really, really excited! Yet, scared! Very, very scared. I kept asking myself "What if no one recognizes me there? ", "What if no one cheers for me? ", "What if people mistake me as a potato because I'm so short and petite?" and so on... The self-questioning got more intense as the YTFF day drew nearer and nearer. 2 days before the event, I actually wanted to back out because I got nothing to wear and because I was really scared no one would ever recognize me there. 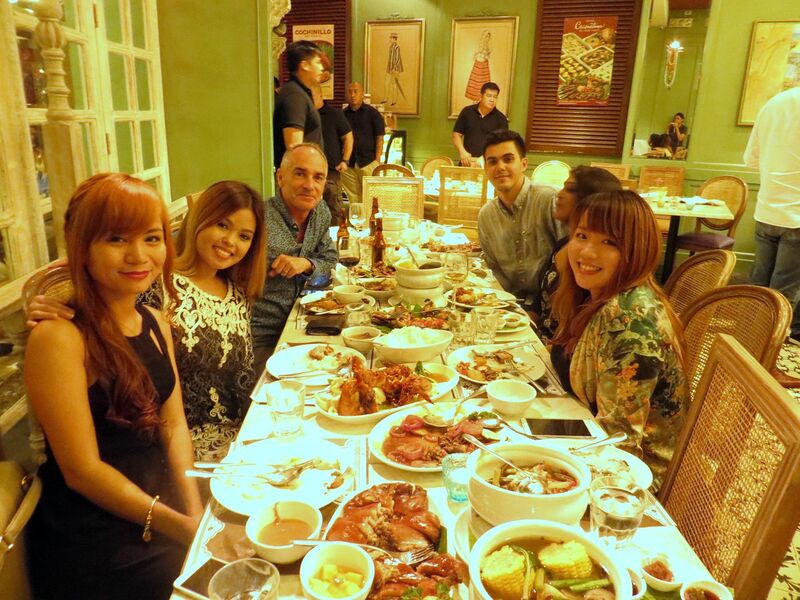 Anyway, 2 days before the YouTube Fanfest show, the organizers set up a dinner for the production staff and for the YouTube artists. 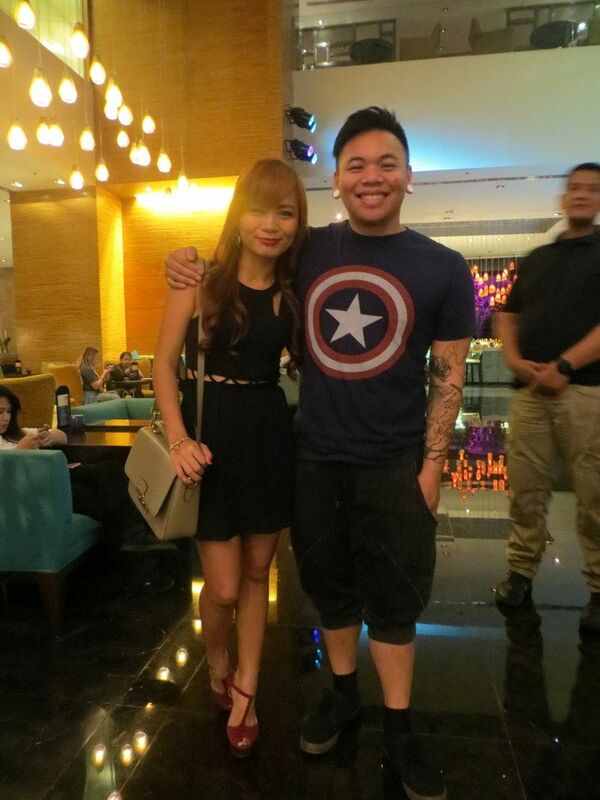 I was also there and that was the first time I got to meet my fellow artists for the YTFF. The table was overflowing with food! There were only 6 of us but look at the amount of food on our table. There were more food to my right but the photographer failed to capture them. There were just to much food that night! Food won, I lost! I took pictures with my fellow artists for the first time. 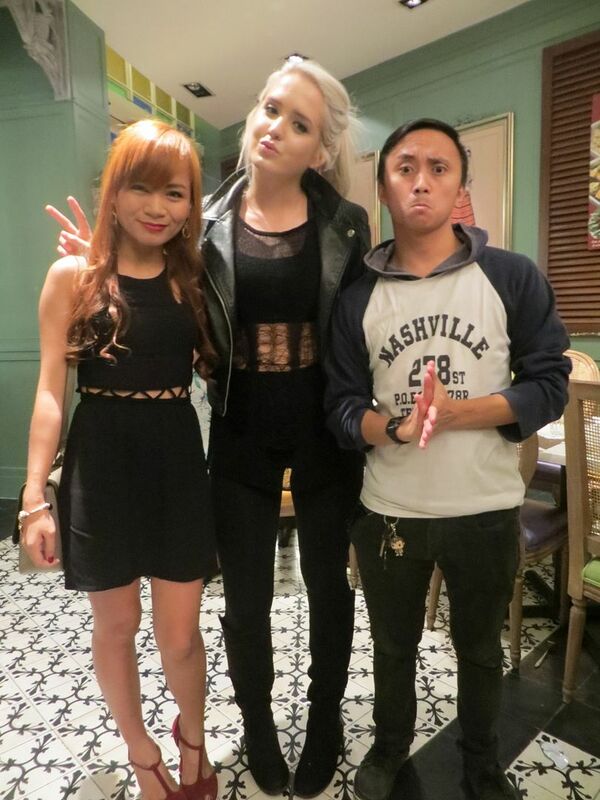 Kristine, Macy Kate and the funny guy from Bogart the Explorer. The next day, we had a rehearsal on stage with the production staff and the rest of the artists. It was also the day Ana and I decided to take the MRT so we'd be early for the rehearsal. But to our dismay, we were still an hour late for the rehearsal. Sigh, MRT. What to do with you? I'm not sure if you guys know but I am a big fan of Camille Co. I used to read her blog a lot when I was still working as a teacher. Her blog would always be my stress-reliever in the office. hehe I have also been wanting to meet her in person. I've heard a lot of good stories about her so I wanted to know for myself. And they were all true! Camille is such a sweet and humble person. She also has a cute voice that is quite too small for her height. hehe She didn't give me that "I'm a top blogger." vibe. She was really sweet and even asked me "Are you tired?" when she saw that I was a little quiet while eating dinner. Anyway, when we got to the rehearsal, Jireh Lim was rehearsing his stage! What a nice background music! 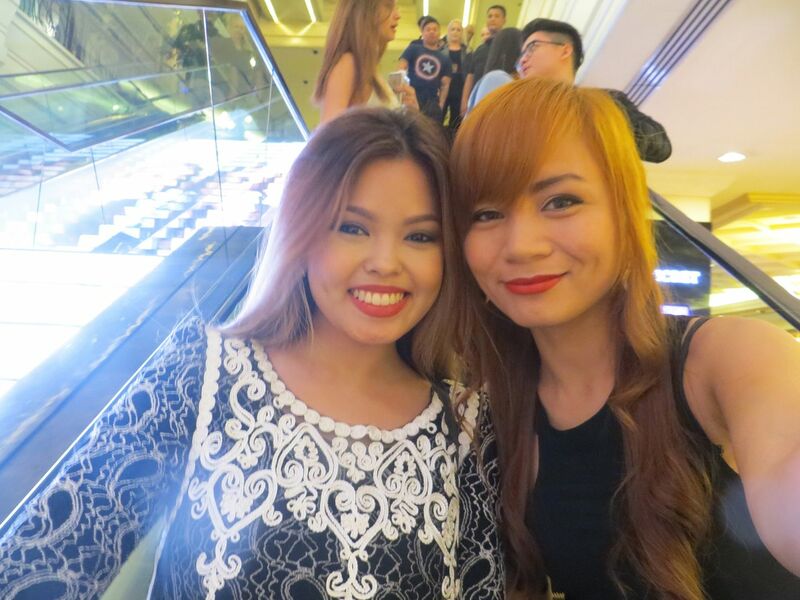 Camille Co styled the outfit of our Makeover winner, Allison. Camille was supposed to be with Ana and I on the show proper, but for some reasons, her participation was canceled. The winner still got to wear the outfit, though! 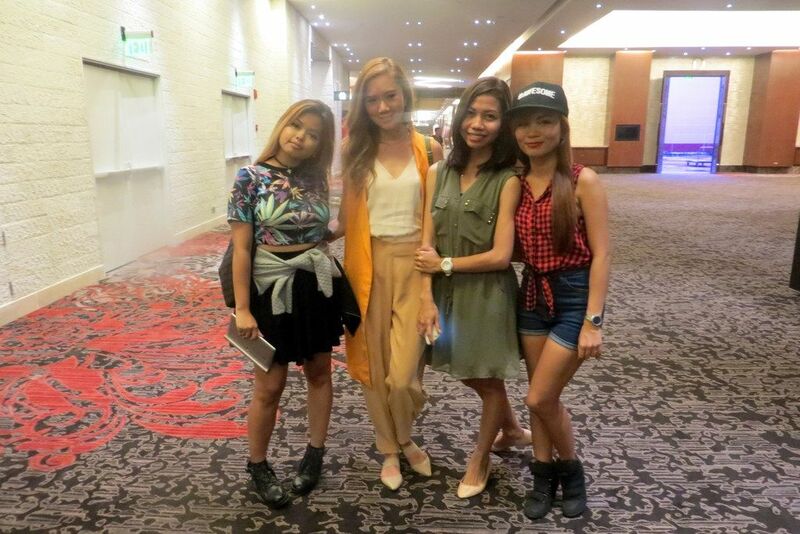 After the rehearsal, we went to the Marriott Hotel to have dinner with some of the people from Stylehaul. I was sick that week because of stress and lack of sleep so I was coughing like crazy. 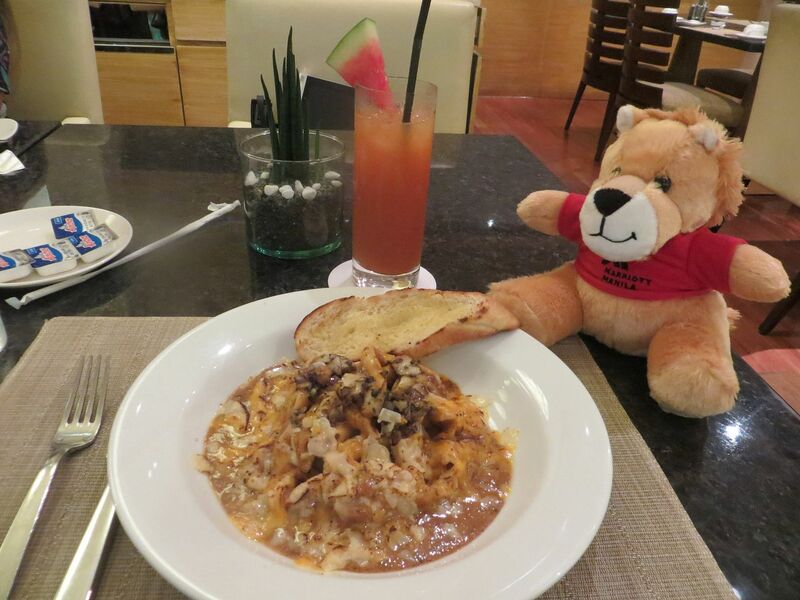 Good thing the food was good and the cute stuffed toy the staff gave me made me feel a little better. I got home at around 11 PM that night. It was crazy because I still didn't have clothes for the show proper so I was really anxious! I went shopping for clothes but when I got home, none of them seemed proper and good enough for YTFF. Watch the video below to find out the stuff I bought just for the YTFF! Thank you for reading today! Please follow me on Instagram if you are there! I would be the happiest if I could get 5,000 followers by the end of July. It's @RealAsianBeauty.